Stay in touch with your customers and generate repeat sales with email marketing. The most successful Internet marketing campaigns consist of a diversity of strategies, including social media marketing, SEO, and perhaps even PPC. Email newsletter marketing is a tried and true online marketing method. Although it’s not as trendy and attention getting as newer marketing tactics, it remains an effective way to communicate with your target audience and strengthen customer relationships. Email is a far more intimate way to connect with customers than advertising because it is based on permission. If you’re considering developing an email marketing campaign but you’re still on the fence about it, learn more about the benefits of newsletter marketing for small business. It costs approximately ten times more to acquire a new customer than it does to retain an existing one. Effectively retain your existing customers by staying in touch with them via newsletter marketing. By generating repeat sales through email marketing, you can increase the lifetime value of your customers. Most people who visit your website won’t become buyers on their first visit, either because they’re interrupted during the buying process or because they’re simply not ready to contact you or make a purchase just yet. It’s common for someone to visit a business website multiple times before contacting the company or placing order. But rather than letting those prospective leads slip through your fingers, capture their contact information by adding an email newsletter sign-up form to your website. Email newsletter marketing enables you to communicate with your customers instantly and more frequently. You can use email to remind your customers about time-sensitive offers or let them know when a promotion is coming to an end. Gone are the days of only being able to send your customers a promotional flyer or postcard once a month – now you can communicate with your customers on a weekly basis. Email newsletter marketing allows you to test the effectiveness of your marketing messages. Using tracking tools, you can determine which headlines, graphics, colors, and calls-to-action convert the best. Email newsletter marketing is a great way to obtain valuable feedback from your customers. You can use email marketing to survey your customers and get their feedback regarding your products or services, pricing structure, etc. With the information you glean, you can adapt your offerings to your customers’ needs and improve your business. Email marketing supplements your other marketing efforts by establishing a powerful link between you and your customers. 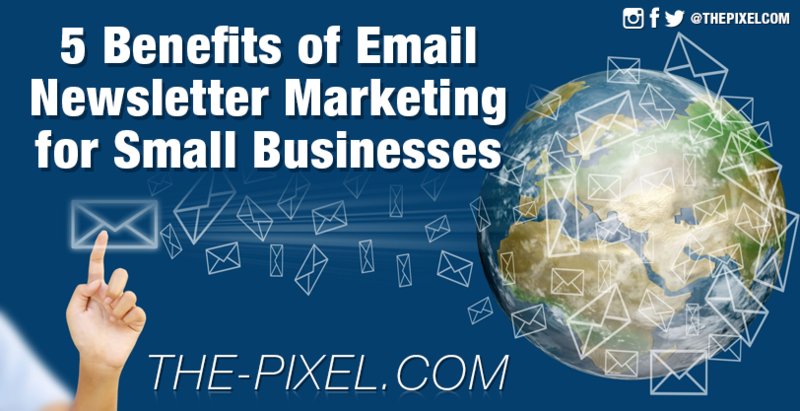 ThePixelNews email newsletter marketing system makes sending effective email newsletters quick and hassle-free. Features of ThePixelNews emailing marketing include a dynamic list management system, segmented lists, and real-time reporting tools. To learn more about the business benefits of an email marketing campaign, give our email-marketing specialists a call at 563.543.6433 or fill out our online contact form to set up a free consultation. ThePixel creative is a United States based web agency that specializes in website design and development, website content management, social media marketing, mobile apps, web hosting, website maintenance and other online web services. Since 2008, ThePixel has worked with hundreds of businesses to help them with their web development needs. 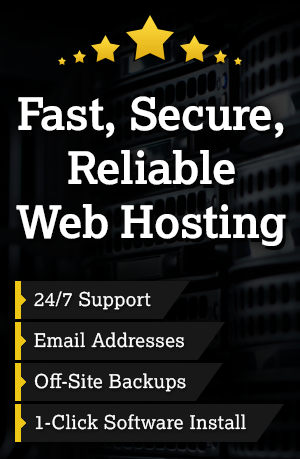 Call us at 563.543.6433 or fill out our online contact form to speak with one of our website specialists, and see how we can help take your business to the next level!